TekSushi™: New Marvel Hot Toys 1/6th Scale Captain America Age Of Ultron Figure Is Now Available To Purchase. 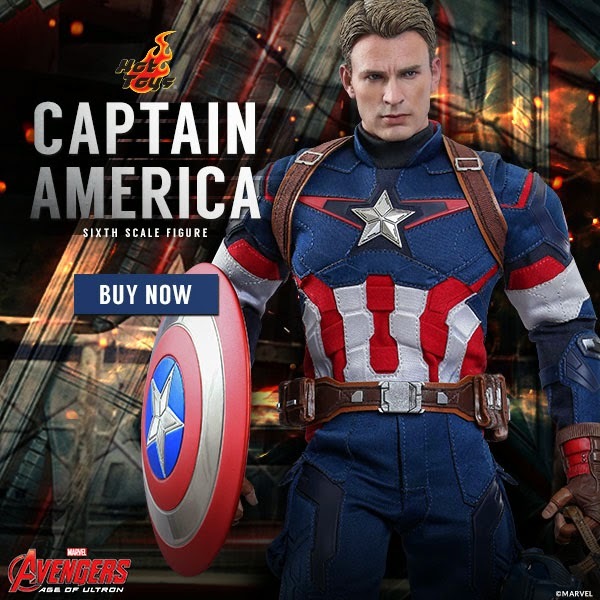 New Marvel Hot Toys 1/6th Scale Captain America Age Of Ultron Figure Is Now Available To Purchase. I haven't even taken stock of my Winter Soldier versions yet and I want the damn thing! This great looking Captain America figure is now available to order. See the specs run down and full image gallery.